Italy is a beautiful place, so why not move there? 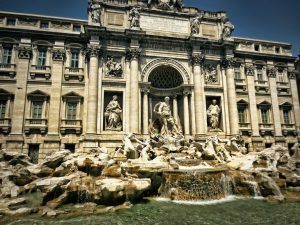 If you’ve had an enjoyable holiday in Italy, you might be considering moving to Italy start a new life there. Although this is an exciting prospect, the immigration process to Italy is quite complicated. To ensure that all goes smoothly for you it’s recommended that you use the services of a good migration agent. Here’s a quick overview of what’s required to become a resident. This will give you an idea of what you’ll need to do before you put the wheels in motion. Unless you already hold EU citizenship, you’ll need to secure a work visa before you can legally start work there. If you don’t fall into this category, you might be able to qualify for an Italian Holiday Working Visa. This type of Visa is available to migrants who are citizens of New Zealand, Australia or Canada. You’ll need to have sponsorship from an authorised Italian employer before you can start work and proceed with moving to Italy. The employer will be responsible for filing your visa application paperwork. The basic form of work visa that you should apply for is called a Schengen visa. In addition to this, you will need to submit additional documentation. A letter from your employer stating why you’re working in Italy and the dates you’ll stay. You must also provide your written offer of employment, the original, not a copy. You must also obtain a stay permit, Permesso di Soggiorno, issued by the council of your destination city. Within a week of arriving you’ll need to produce this document and it must be surrendered on your departure. Additionally, you must be able to prove your financial means. You should bear in mind that many major UK banks are now not allowing expats to open new bank accounts. This could mean you having to transfer your banking to an Italian bank. If you already have a pension or savings, there may be pension transfer considerations too. Before you apply for a visa and get your Italian dream underway, it’s a good idea to discuss finances with a professional expat financial adviser.